If you share a home with a cat, then you know how these furry friends can change your life. Whether you love them for their playful antics, for their companionship, or even for their independent spirit, your life just wouldn’t be the same without their daily presence. Hug Your Cat Day is the perfect time to show your cat or kitten some extra love with a snuggle or quick hug if your feline friend is more independent. June is also Adopt a Cat month. If you’re considering adding a cat or kitten to your family, visit your local animal shelter to give a cat a forever home. When kids and pets grow up together, the bonds they share are beneficial to both. Pets teach children about unconditional love and help them develop a nurturing personality. The day-to-day needs of a pet teach kids important life lessons about responsibility, health and happiness, and even putting others first. Visits to the veterinarian can spark an interest in animal science and a love of other animals. Today’s holiday was established to celebrate the relationship between children and pets and also to remind adults of safety issues involved when young children play with pets. If you’re considering adding a pet to your family, perhaps today is the day! Lola loved cats, and while she had a room full of stuffed cats in all colors and sizes, she wanted a real kitten of her own. Her mother told her that “looking after a cat is a lot of work.” Lola wanted to learn more, so Mommy took her to the library to get a book about cats. Lola learned lots of interesting information about cats and how to take care of them. Image copyright Rosalind Beardshaw, 2017, text copyright Anna McQuinn. Courtesy of Charlesbridge. Lola looked at the orange tabby, the black cat who was napping, and the playful gray ball of fluff. Even before Lola made her choice, the little gray one chose her! Jeremy gave Lola a list of all the things she’d need at home to make the little kitten feel comfortable and happy. The next day, Lola and Mommy went shopping at the pet store, and Lola and Daddy set up a special corner in the house with the cat’s toys and bed. Anna McQuinn’s little Lola is loved by young readers for her curiosity, gentle nature, and can-do spirit. Lola’s sweet personality overflows in this story as she decides that she’d like a pet and then demonstrates to her mommy and daddy that she understands the responsibility. Through her charming storytelling, McQuinn invites little readers to be part of Lola and Makeda’s journey and share in their warm friendship. Lola’s supportive parents offer guidance but allow Lola to thoughtfully make her own decisions and show what she can accomplish. Throughout her colorful illustrations, Rosalind Beardshaw’s Lola shows intelligence, self-confidence, and pride as she practices tending for a cat, learns about cat behavior and care, listens to the animal shelter manager, and gets everything ready for her new cat. Detailed images realistically depict the items a cat requires, a bit of the procedure of adopting a shelter cat, how to give a new pet space to assimilate into their new environment, and a good example of a pet-care chart, giving those contemplating a new pet a good primer for children. The quiet joy that infuses each page, makes Lola and Makeda perfect companions for little readers. Whether new to the Lola series, adding to a collection, or looking for a character and story a little one will fall in love with, you’ll find that Lola Gets a Cat is perfectly at home on family and classroom bookshelves. These kittens all have a twin, but they got mixed up while playing! 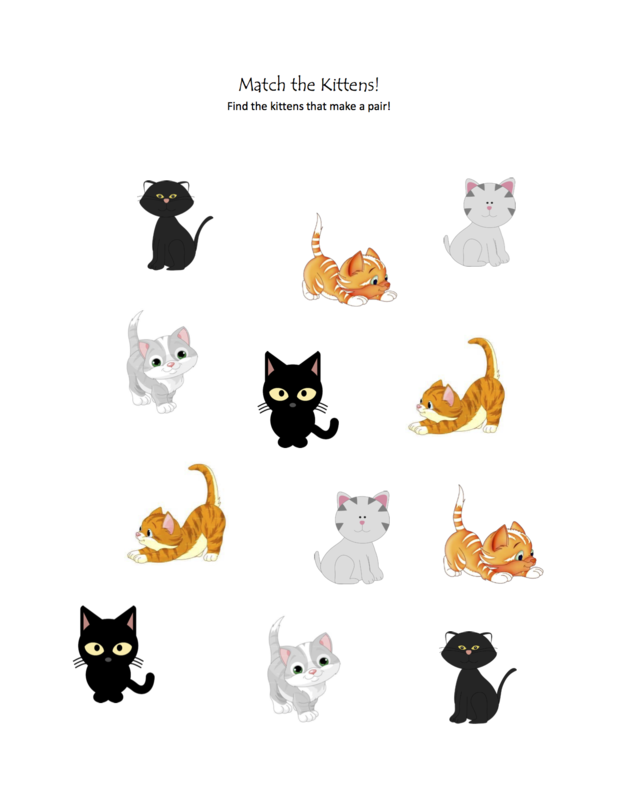 Can you find the pairs again in this printable Match the Kittens Puzzle? Do people say you look like someone else—a family member or friend or maybe a celebrity or historical figure? If so, today is the day to embrace that dopplegänger and perhaps have a little fun with the resemblance. The holiday got started in 1980 when television news reporter Jack Etzel was looking for a feature story on a slow news day. Out on the sidewalk with his camera crew, Etzel spotted a man who looked like Humphrey Bogart. He stopped him and asked him who people said he looked like. Etzel and his crew went on to ask more people about their look-alikes. The next day, Etzel contacted the people who organize the Chase Calendar of Events and proclaimed April 20 as Look Alike Day. Why not join in the fun and go all out? Dress up as your look alike, talk and act like them, and enjoy a day of fame! Quackers, a little orange tabby, wants to say hello! “Meow.” Quackers is a duck. “He knows he’s a duck because he lives at the duck pond with all the other ducks.” Not only that, but all of his friends are ducks. Sometimes, though, when he looks around at all the white feathers and orange beaks, he feels a bit out of place, and communicating is sometimes difficult. There’s also the issue of food—some of the things he’s given to eat are pretty slimy or tiny or hard to chew, and duckweed seems to be on the menu all the time. The worst, though? Getting wet. 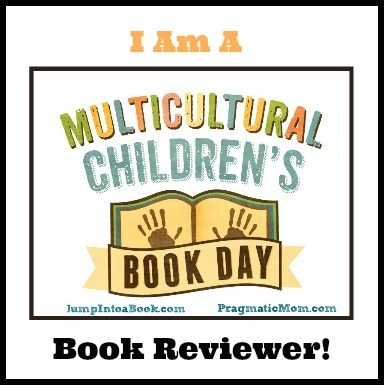 Copyright Liz Wong, 2016, courtesy of Knopf Books for Young Readers. As mom to a cat who thinks he’s part person and possibly part dog, I fell in love with Liz Wong’s little Quackers and little readers will too. Kids will giggle as Quackers sits contentedly on a lily pad, accepts slugs and snails as snacks with a meow-nimum of fuss, and explains to Mittens that he’s a duck. Readers, who are beginning to develop their own identity, will be cheered when Quackers embraces both his duck and cat sides. They’ll understand that it’s what’s inside a person that matters and that being yourself is the best thing you can be. Wong’s adorable kittens and ducks will charm kids, and her simple hand-lettered text and speech bubbles create a cozy reading experience that’s like a sweet hug in a book. Full of humor, self-acceptance, and inclusion, Quackers should find a home on any child’s and classroom’s bookshelf. Discover more about Liz Wong, her books, and her art on her website. These adorable kittens all have a twin, but they’ve gotten mixed up while playing. 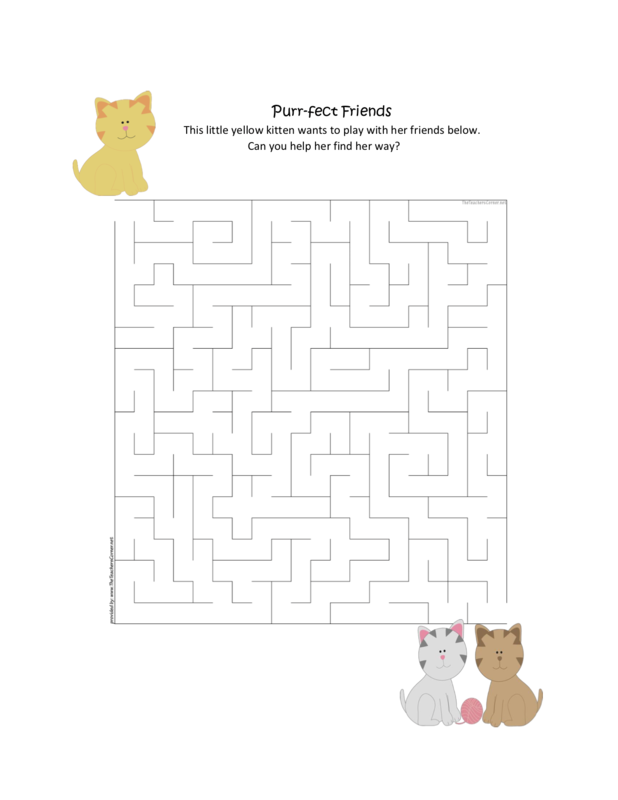 Can you find the matching pairs in this printable Match the Kittens Puzzle?